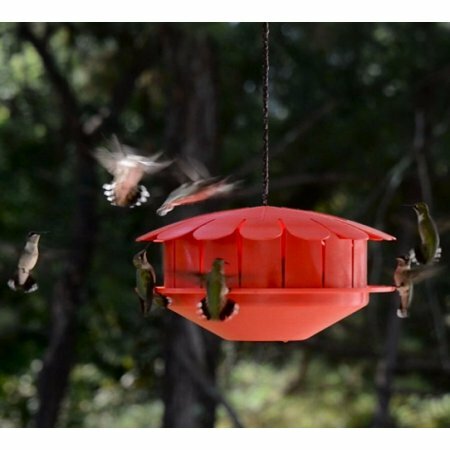 The Petite Green Sunflower Feeder is ready to hang, extremely easy to use, fill and clean. 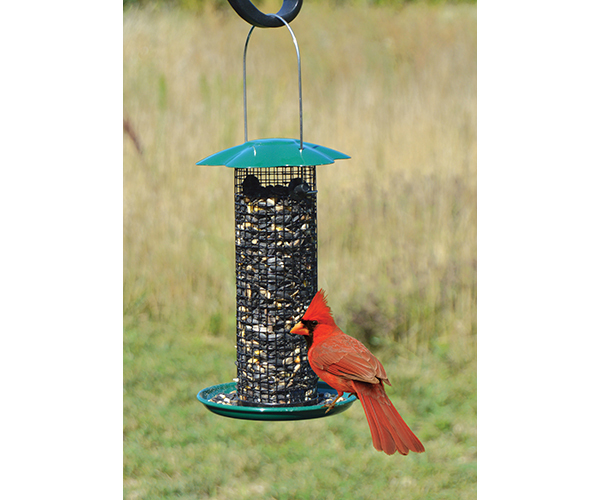 Sunflower seeds are relished by finches, chickadees, nuthatches, grosbeaks, cardinals, jays and even some species of woodpeckers. Drainage holes in seed tray keep seed dry. Weather durable powder coated finish mesh. Holds approximately .5 lbs of sunflower seed. Measures approx. 5" x12".